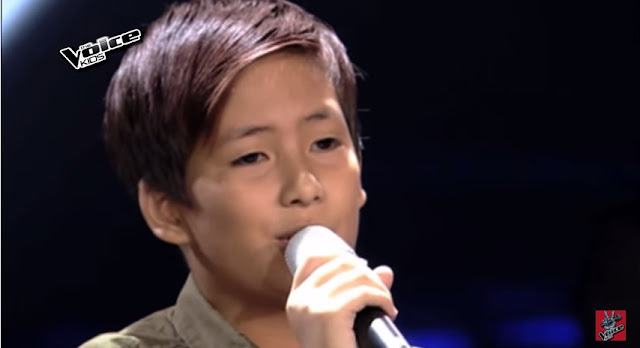 MANILA, Philippines - Eleven year-old kid Noah Anderson from Zambales wowed the three coaches as they turned their red chairs in the continuation of the Blind Auditions of ABS-CBN's top-rating and Twitter-trending vocal competition "The Voice Kids" Philippines Season 2 on Saturday, June 20, 2015. "Hindi siya overly done. Maganda kung pano mo binali yugn ibang lines," Coach Sarah said to Noah. Noah chose to be part of Team Lea, joining Esang de Torres, Bianca Marbella, Reynan Dal-anay, and Stephanie Jordan. Making up Kamp Kawayan, meanwhile, are Altair Aguelo, Atascha Mercado, Christian Pasno, Lance Macalinao, and Romeo Espino.